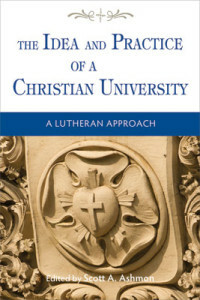 What People Are Saying About "The Idea and Practice of a Christian University"
This is an extremely illuminating book that will be of great help to our uni­versities and to the LCMS as a whole. At a time when synodical universities are struggling with “Lutheran Identity,” this book serves as a template for faculty, administrators, boards, and students for how that can be achieved and for how that identity can help colleges to be truly excellent at every level. Clearly articulating the Lutheran interaction model for relating faith and learn­ing, this volume is a gift to everyone interested in understanding the Lutheran difference in Christian higher education. Ranging from background theological and historical essays to reflections from scholarly disciplines and administrative and student life perspectives, this text is an up-to-date compendium of the im­portant and distinct dimensions found in Lutheran higher education. Persons interested in understanding the role of the liberal arts in a Christian education for vocation will also find this text particularly helpful. I heartily recommend this anthology to anyone seeking to understand the Lutheran heritage and promise in higher education. Impressively comprehensive and theologically articulate, this book turns a spot­light on church-related academic pursuits within the Lutheran (Mis­souri Syn­od) tradition. Its thoughtful analysis of Lutheran perspectives and values will enrich the national conversation concerning the place and role of religion in university education. The essays assembled in this volume provide valuable glimpses into the splen­dor of Lutheran higher education properly delivered. The reader is invited to immerse himself in the beauty of Lutheran higher education through discus­sions that engage the interaction of core Lutheran funda­mentals and the heart of higher education. This work offers a refreshing explication of the richness that is the Lutheran approach to Christian higher education. 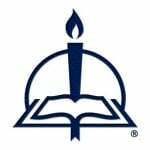 The Idea and Prac­tice of a Christian University: A Lutheran Approach is an essential text for any­one involved or interested in Lutheran higher education. The effort to transfer Lutheranism’s European Protestant heritage into Ameri­can culture has not always been easy. This unusually helpful collec­tion of essays explains what Lutheran higher education tries to do, has done, and would like to do—both in maintaining the best of the heritage and serving the needs of the present. The book’s many contributors offer much to ponder for anyone who values the heritage of the Reformation, the cause of Christ in the United States, and the application of specifically Lu­theran insights to the practices of higher education. Scott Ashmon and his colleagues are to be commended for their effort. Col­lectively, they draw upon the Lutheran tradition as an insightful and much needed means of making sense of today’s confusing higher education land­scape. Individuals serving in Lutheran contexts should be amongst the first to read, ponder, and act upon what this work offers. However, the model they unfold in their own ways is also of considerable value to individuals serving in contexts nurtured by a wide variety of Christian traditions. The diverse contributors to this volume succeed in achieving a difficult aim—speaking from a particular tradition in winsome ways that will resonate with and engage the wider academy. Indeed, this book illuminates how and why certain Lutheran-shaped concepts and skills such as vocation, the two king­doms, and “faith seeking understanding for service” should continue to interact with and influence Christian and even secular higher education. Moreover, I found that the creative insights from authors spanning multiple disciplines, and even the co-curricular arena, added fresh and engaging new ideas regarding how Lutheranism can nourish the university.